WIFIBible contains many different Christian resources that can help people in their Christian life. It contains gospel music, the Bible in 200 Papua New Guinean languages, Jesus film, evangelistic material, videos, and mobile apps. How does this device help the people of PNG? 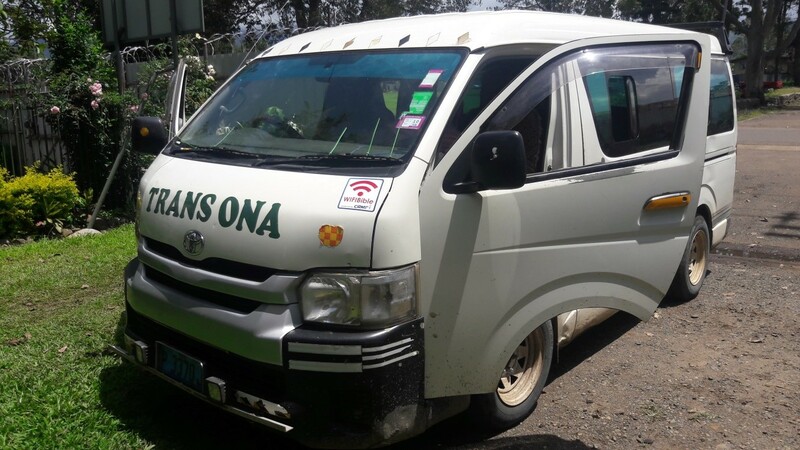 The WIFIBible is installed on some of the PMV (Public Motor Vehicle) buses which travel on the main Highway between Lae – Madang – Mt.Hagen. The buses that are equipped with the WIFIBible can be recognized by the WIFIBible stickers on the front and the side of the bus. The passengers traveling on the Highway bus can access the resources while traveling to their destinations! 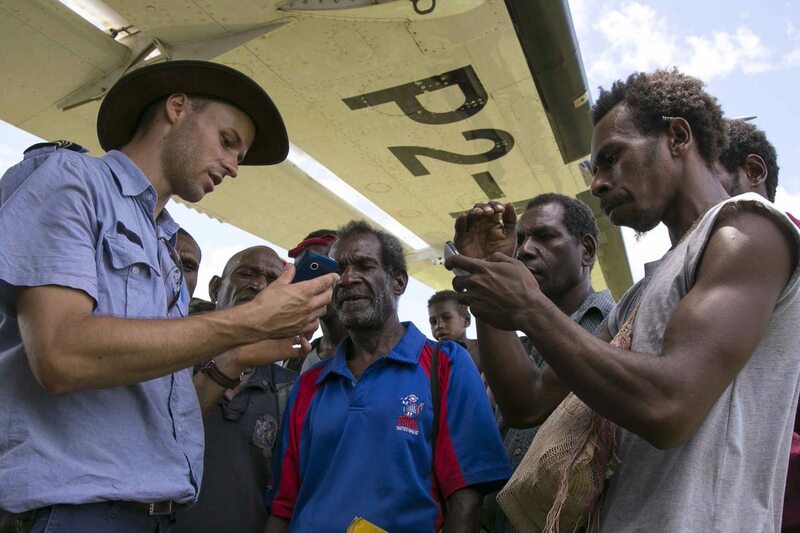 MAF (Mission Aviation Fellowship) planes in Papua New Guinea are equipped with the WIFIBible. 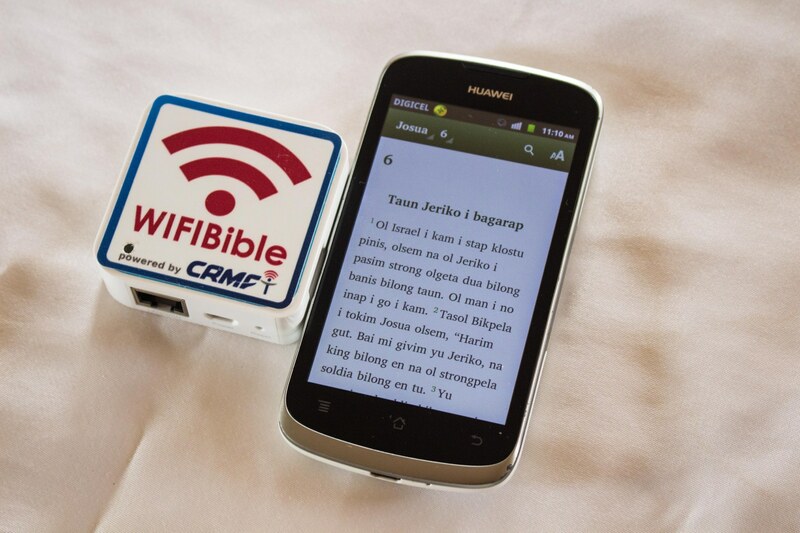 As MAF serves some of the most remote areas in PNG, even the isolated people will benefit from the WIFIBible. The device on the plane is battery powered and is switched on while the cargo is off-loaded at an airstrip in the remote areas. 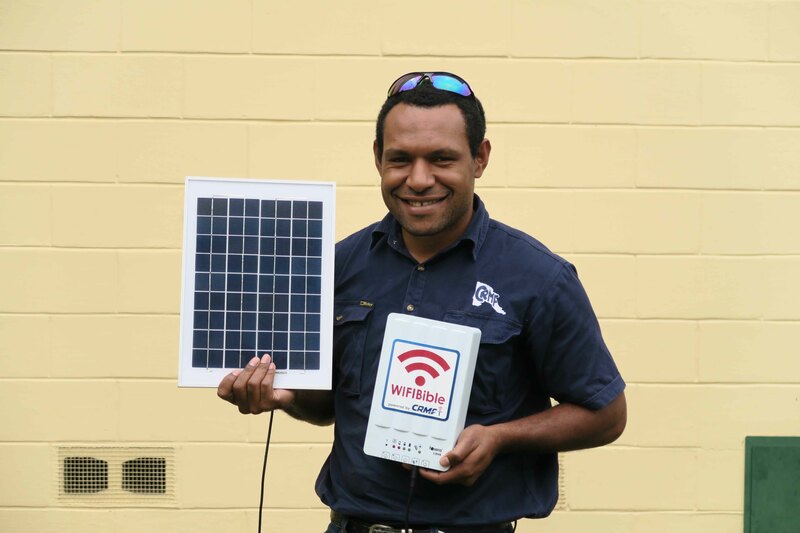 We have now developed a solar-powered WIFIBible that can be run in remote bush locations. Setup in a pastor’s house, a church building, or anywhere even if there is no power grid! 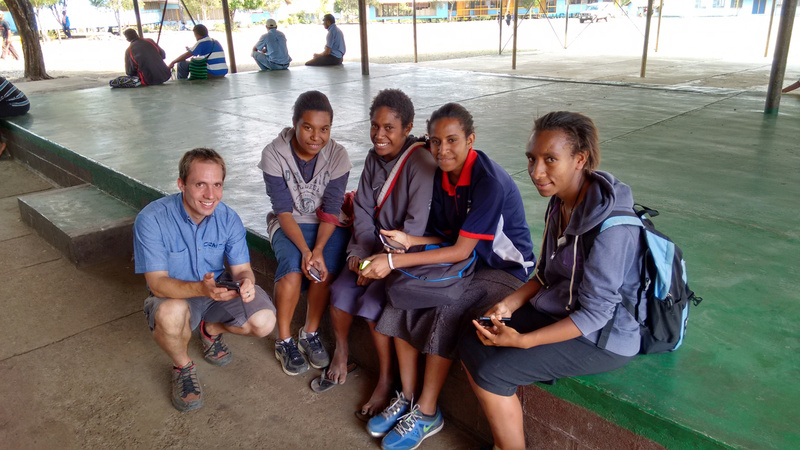 We installed a WIFIBible at the local Goroka high school. The principal of the school discussed with us his concern of the students viewing negative and destructive material on their phones and that he wanted to offer them a better alternative. Now students can download good Christian music and content any time they’re at school, then go home and share it with their family and village.